PHUKET: Police are currently looking for a man and woman who took part in a drive-by shooting in Thalang at midnight on Saturday leaving an 18-year-old man fighting for his life. 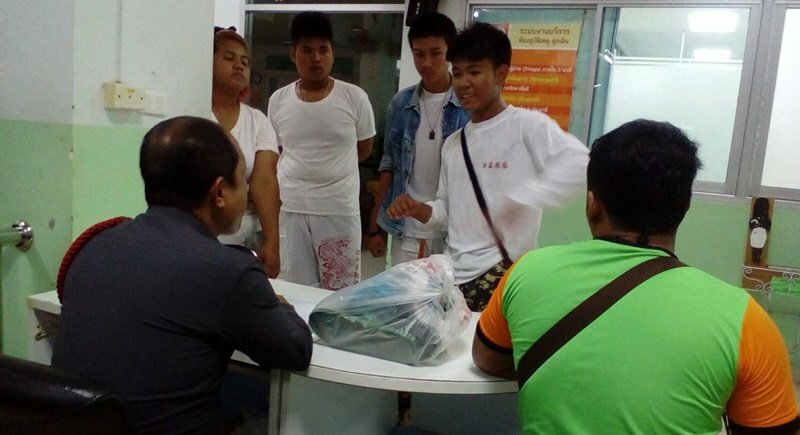 Lt Col Sanit Nookong from the Thalang Police received information from staff at Thalang Hospital at midnight on Saturday (Feb 5) where it was reported that an 18-year-old man, named as Anurak Nakponkeaw, had been shot and was receiving treatment at the hospital. Hospital staff advised Lt Col Sanit that Mr Anurak had been shot once in his lung and was in a serious condition. An unnamed 14-year-old boy who was with Mr Anurak at the time of the shooting said, “I was driving away from the Boo Seng Tong Shrine where Mr Anutrak and I had been for a Chinese ceremony. “When we approached the Thung Thong ice factory at Moo 1, Thepkrasattri Rd a blue Honda PCX motorbike with male driver and female passenger approached us. The driver pulled out a gun and shot Anurak once. They then sped away on the motorbike,” he said. So the very astute Lt Col Sanit said, “I think Mr Anutrak has some issue with the shooter..."  Freekin genius! And here I was thinking it was just a friendly little pop in the chest. Silly me.